Always look and feel like a million bucks wearing the Relaxed Fit Breathe Easy - Moneybags shoe. Soft suede and ripstop fabric upper in a slip on bungee laced casual comfort sneaker with stitching and overlay accents. Air Cooled Memory Foam insole. Soft suede upper. Ripstop textured fabric panels. 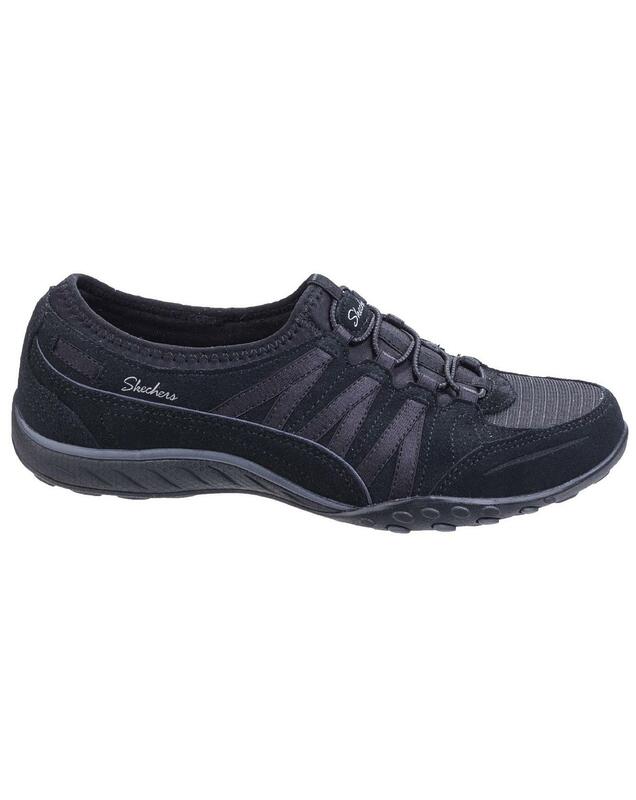 Slip on bungee laced sporty casual comfort sneaker design. Stitching accents. Stitching detail on toe front seam. Satiny fabric side stripe overlays. Bungee stretch elastic laced front panel.